Debra Albus is a Research Fellow in the area of English learners (ELs). She has worked for several years with NCEO helping to conduct research on the participation and performance of students who are ELs and students with disabilities in statewide testing, including studies on reading test accommodations. In the area of promoting and improving accountability, she has conducted research on the public reporting of assessment results for these students at the national level in reviews of state reports and Web-based documents. 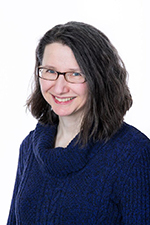 In addition to her more recent work at NCEO, she has presented reading research on second language vocabulary acquisition at international and local conferences. Also, she has several years of experience teaching English as a second language to international students and adult refugees, and has spent two summers teaching English as a foreign language in China. Linda Goldstone is a Research Fellow at the National Center on Educational Outcomes. Linda’s research work to date has been on projects related to large-scale assessments and academic standards for preK-12 students with disabilities, English learners (ELs), and ELs with a disability. Linda has over ten years’ experience as a speech-language pathologist (SLP) with pre-K learners to adult population with a spectrum of disabilities in various settings. Linda’s current SLP practice focuses on ELs with disabilities in an urban charter school context. She is currently a Doctoral Candidate in the Second Language Education Program in the Department of Curriculum and Instruction at the University of Minnesota. 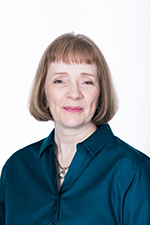 Maureen Hawes serves as NCEO’s internal evaluator and SSIP TA Coordinator. She has managed and implemented numerous evaluations, research projects, and technical assistance initiatives designed to improve programs and outcomes for students with disabilities. Maureen served as Co-Principal Investigator and Director for the North Central Regional Resource Center and the Systems Improvement Group and as a Research Associate at the University of Minnesota, and spent over 15 years as an evaluator and technical assistance provider, delivering high quality services to numerous state agencies and territories on topics including general supervision and monitoring, policy and program evaluation, systems change, evidence-based practices, data analysis and use, and leadership. Maureen has authored a number of tools and products developed to support both state and local level implementation of IDEA as well as to support state work on the State Performance Plan (SPP) and Annual Performance Report (APR). 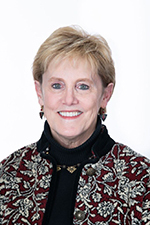 Her professional areas of interest include policy and program evaluation, performance measurement, general and special education collaboration, systems change, program policy development and implementation, and cultural and linguistic issues for children with disabilities. As a Researcher at NCEO, Erik Larson is involved in several projects that aim to make instruction and assessments more accessible for all students, including students with disabilities, English learners, and English learners with disabilities. He regularly writes reports, analyzes state assessment policies, creates professional development resources, and explores teacher and student perspectives through interviews and surveys. 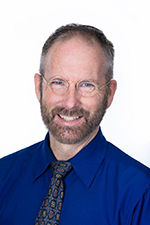 Erik has a master's degree in Teaching English to Speakers of Other Languages (TESOL) from the University of Minnesota and teaches part-time at Minneapolis College. He is proud to have recently received the Future Leader Award from NCEO’s parent organization, the Institute on Community Integration. Sheryl Lazarus, Ph.D. is the Associate Director, and is a senior research associate at the National Center on Educational Outcomes (NCEO). In this position she addresses special education policy issues related to the inclusion of students with disabilities, English learners (ELs), and ELs with disabilities in assessments. She also holds a Minnesota K-12 principal's license. Her research and technical assistance priorities include: student participation, accessibility and accommodations, alternate assessments, technology enhanced assessments, and formative assessment. She has expertise in the assessments that comprise the comprehensive assessment system, school reform, school accountability, research design (including cost analyses), data-driven decision-making, rural education, and the economics of education. She has published extensively, including papers in peer-reviewed journals in both the fields of education and economics. Kristin Kline Liu is the Assistant Director, and is a Research Associate at the National Center on Educational Outcomes. 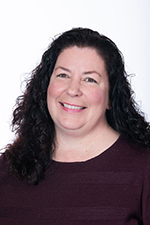 Kristi has a variety of experiences working on state and federally funded projects relating to large scale assessment and standards-based instruction for English learners (ELs) and ELs with disabilities. Most recently, she was a co-principal investigator on the Improving the Validity of Assessment Results for ELs with Disabilities (IVARED) project. Kristi was initially an elementary educator. She went on to obtain a Master's degree in TESOL and a PhD in Second Languages and Cultures Education. Kristi has taught English as a Second Language at the secondary, post-secondary and adult levels in the United States. She has also taught language instruction methodology courses at the university level. 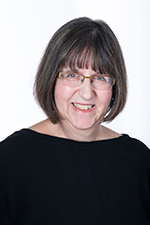 In addition, Kristi has written and presented extensively on the assessment and instruction of ELs and ELs with disabilities, and specifically on academic language development. Charity Funfe Tatah Mentan, Ph.D., is a Research Associate with the National Center for Education Outcomes (NCEO). She is currently developing materials on parental involvement in K-12 schools for teachers and immigrant families. Specifically, English language learners (ELs) and English Language learners with disabilities. Charity is involved in developing online teacher training modules for accessibility of instruction and assessment. She holds a Ph.D. in Curriculum and Instruction, a Master’s degree in adult Education, another Master’s in Education Policy and Administration, and an Executive Master of Public Affairs from the University of Minnesota. She is a Hubert H Humphrey Fellow with a diploma in International Human Rights law from the Humphrey School of Public Affairs. She also holds a Master of Laws in Philosophies of Laws and Legal Perspectives from the University of Yaoundé 11, Cameroon. Charity has been serving the underserved immigrant community as an Executive Director of Africa Network for Development Incorporated (ANDI), a non-profit organization she founded in 2005. Her research interests are: immigrant education and employment, parental involvement, community integration, service learning, shared leadership, community engaged research, communal good, intercultural communication, and peace building. Michael Moore, Principal Editor/Writer, serves as the communications director for the National Center on Educational Outcomes (NCEO). Moore is an award-winning writer who has published articles, essays, and stories in local and nationally published newspapers, magazines, literary journals, and books. He received a Master of Fine Arts in Creative Writing at Hamline University and is the recipient of many awards, including a University of Minnesota Communicators Forum “Gold Award” for feature writing and the Institute on Community Integration 2014 “Excellence and Community Building Award.” Michael oversees NCEO's publishing efforts, websites, and media relations. Darrell Peterson is an Educational Program Specialist involved with several projects at the National Center on Educational Outcomes (NCEO). His focus is the development and implementation of professional development on topics related to the inclusion of students with disabilities, ELs, and ELs with disabilities in assessments and instruction, primarily in the form of online training modules for parents and educators. 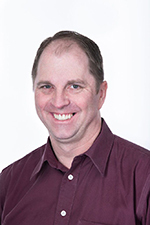 Darrell has over 20 years of professional experience designing and developing professional development for online delivery. His primary area of interest is in the use of instructional technology to enhance the educational achievement of individuals with disabilities. 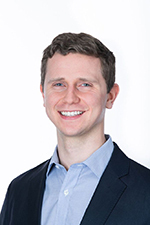 Christopher Rogers is a Research Fellow involved with several projects at NCEO. He administers and revises the Accommodations Bibliography online database and reports on empirical research related to accommodations. Prior to joining NCEO, Chris worked in the Regional Resource and Federal Centers Network providing information and technical assistance to state departments of special education. Chris has over ten years of practical experience as a community mental health generalist and then a child mental health specialist serving children and youth with mental health challenges both in schools and in the community. 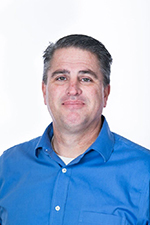 At NCEO, Chris is currently interested in accessible science assessments and assisting states in utilizing research evidence supporting accommodations use for students with disabilities and English learners. Chris is most curious about the intersection of ethnocultural difference and emotional-behavioral disability, and has published and presented on these topics. 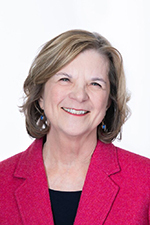 Kathy Strunk, Ph.D., is an Education Program Specialist at the National Center on Educational Outcomes (NCEO) where she conducts research and provides technical assistance related to special education assessment policies and practices. She is currently assisting states with implementation of assessment-focused State Identified Measurable Results (SIMRs). Dr. Strunk’s work experience includes Public Consulting Group (PCG) Education Consultant, Discovery Education Assessment Strategic Accounts Manager, Tennessee State Department of Education Special Education Assessment Director, Tennessee State Improvement Grant Director, and Tennessee Response to Intervention (RTI) Director. Prior to these work experiences, she spent seventeen years as a public school educator, serving as a classroom teacher and elementary guidance counselor. 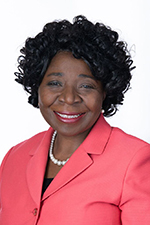 She studied and conducted research at Vanderbilt University for five years, receiving her Ph.D. in Educational Leadership, Policy, and Organizations. She has received multiple honors and awards, including Teacher of the Year and Peabody College’s Distinguished Academic Achievement and Service in Leadership and Organizations Award. Martha Thurlow is the Director of the National Center on Educational Outcomes. In this position, she addresses the implications of contemporary U.S. policy and practice for students with disabilities and English Learners, including national and statewide assessment policies and practices, standards-setting efforts, and graduation requirements. Dr. Thurlow has conducted research and technical assistance for the past 45 years in a variety of areas, including assessment and decision making, learning disabilities, early childhood education, dropout prevention, effective classroom instruction, and integration of students with disabilities in general education settings. Dr. Thurlow has published extensively on all of these topics, authoring numerous books and book chapters, and publishing more than 200 articles and reports. 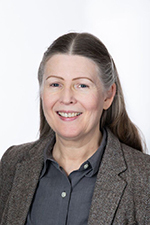 She served as co-Editor of Exceptional Children from 1995 to 2003, the research journal of the Council for Exceptional Children, and is currently associate editor for numerous journals. 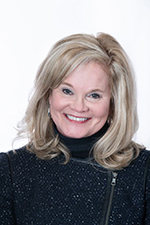 Terri.Vandercook, Ph.D. is the assistant director of TIES Center. She previously was an Associate Professor and Chair of the Department of Special Education at the University of St. Thomas and coordinator for the program in Developmental Disabilities. She has worked with and learned from individuals with significant developmental disabilities, their families, and team members for 40 years. Themes throughout her career have been the active belonging, participation, and learning (inclusion!) of each child in her or his community. Her areas of focus include inclusive schooling, collaborative teaming, instruction of students with significant cognitive disabilities, and teacher training. 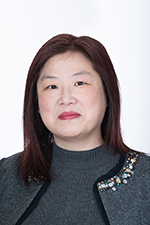 Dr. Wu is an experienced psychometrician and the statistical expert for the National Center on Educational Outcomes. She has been working with large-scale assessment data since 2000. She has also had experience on analyzing state-wide assessment datasets and different types of datasets. She has used the analyses of regression model and MANOVA on various projects and presented at national conferences. 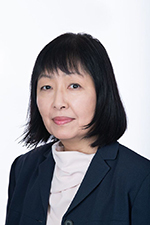 Dr. Wu has authored more than 40 publications, including 18 journal articles, 22 technical reports, and made more than 40 conference presentations on the topic of reading and psychometric areas. Dr. Wu holds a PhD in Educational Psychology from the University of Minnesota.